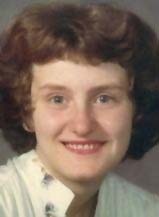 WATERLOO - Helen J. Ahrenholz, 50, of Waterloo, died at home Wednesday, Dec. 28. She was born Aug. 20, 1961, in Cedar Falls, daughter of Keith and Senora Snyder Cohenour. She married Randy Ahrenholz on Sept. 18, 1994, in Cedar Falls. Mrs. Ahrenholz graduated from Cedar Falls High School in 1981 and was employed with Sedona Staffing at Standard Distribution. Survived by her husband; two sons, Joshua and Joey, both of Waterloo; her mother; and a sister, Anna (Tom) Fremont of Cedar Falls. Preceded in death by her father; and a brother, Keith Owen Cohenour. Services: 2 p.m. today at First United Methodist Church, Cedar Falls, preceded by an hour of visitation, with burial in Garden of Memories, Waterloo. Richardson Funeral Home assisted the family. Memorials may be directed to the family.